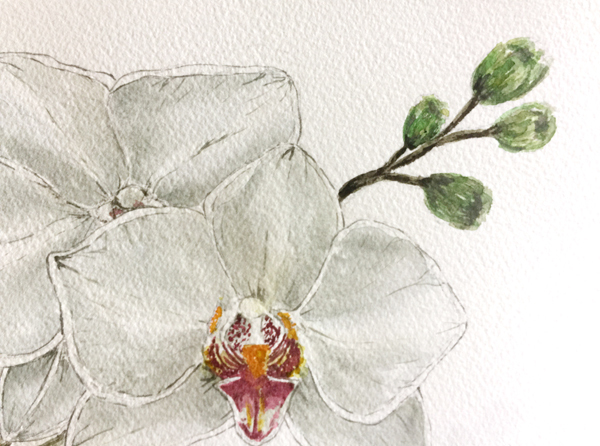 Made this white watercolored orchid for a friend’s wedding. 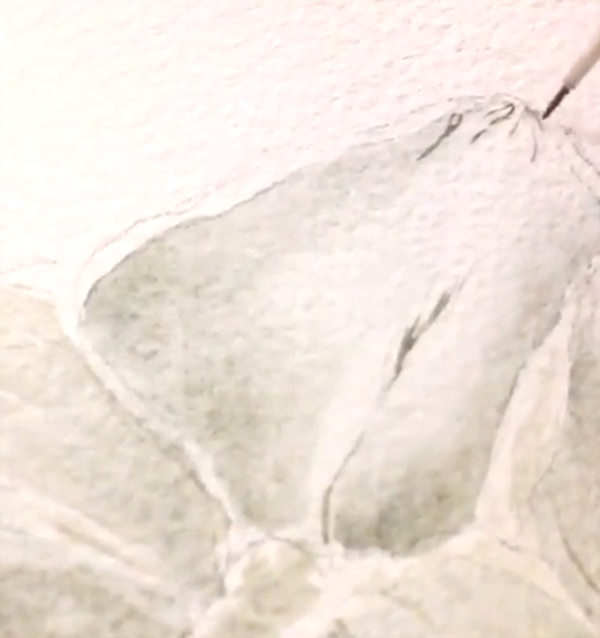 I use the white of the paper for the highlights, and then add midtones and shadows using light mixtures. 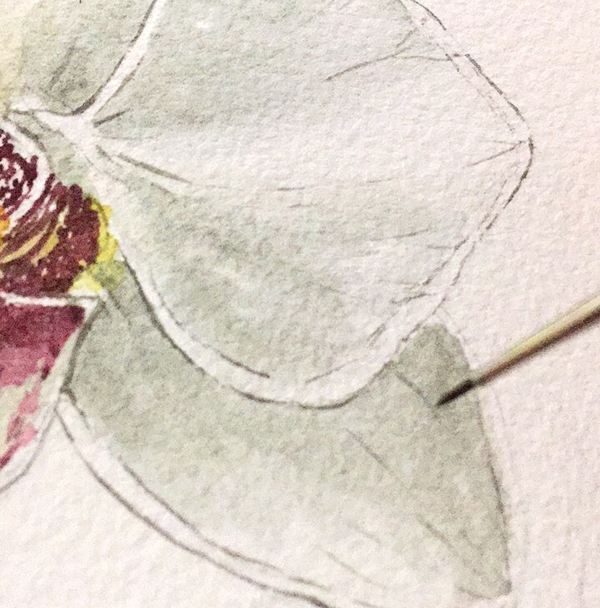 For this orchid, I used Davy’s Gray from Winsor & Newton, which is actually one my favorite mixing grays (to desaturate colors). I colored in my sketch using a #6 round brush. Did about 2-3 layers of light washes, until I was happy with the grays. It takes a lot of patience to let each layer dry, before adding on the next layer to build up on color. 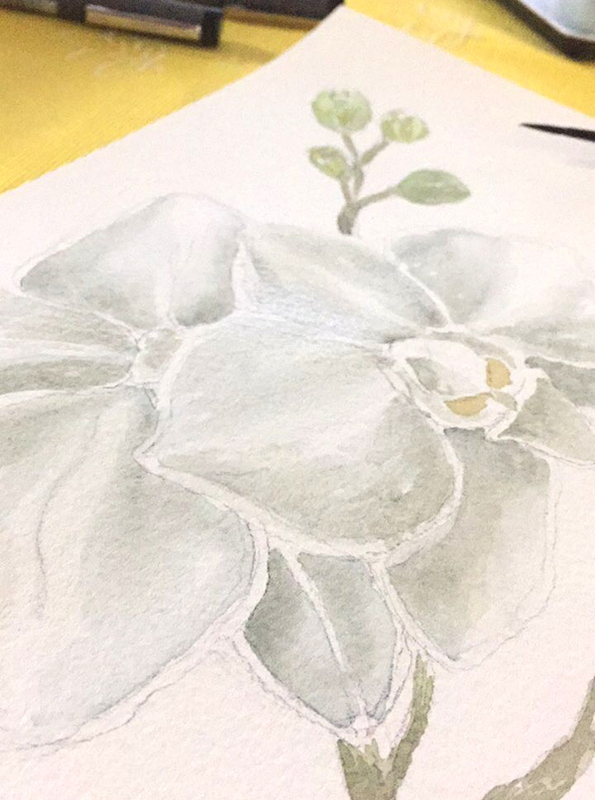 If you keep adding color while it’s still wet, the petals will end up looking muddy. And with white florals, you have to be extremely careful about this. After all the layers, I added details using a 5/0 rigger brush. 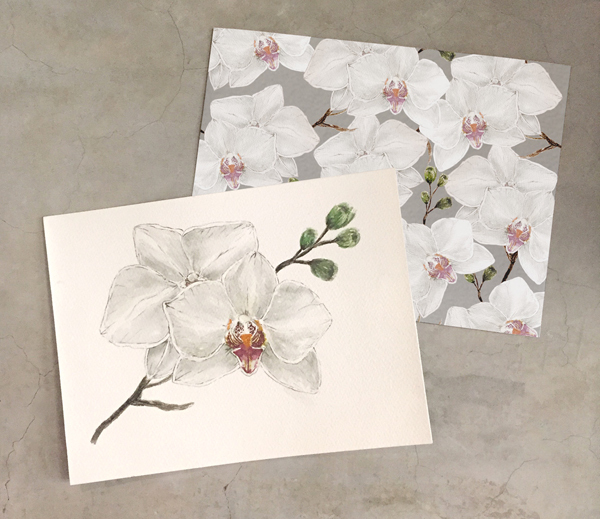 For pattern design commissions, e-mail me at workshops[at]lifeafterbreakfast[dot]ph.